Manuel Pellegrini wants to end West Ham’s rot against Premier League leaders Liverpool, which would boost the chances of his old club Manchester City in the title race. 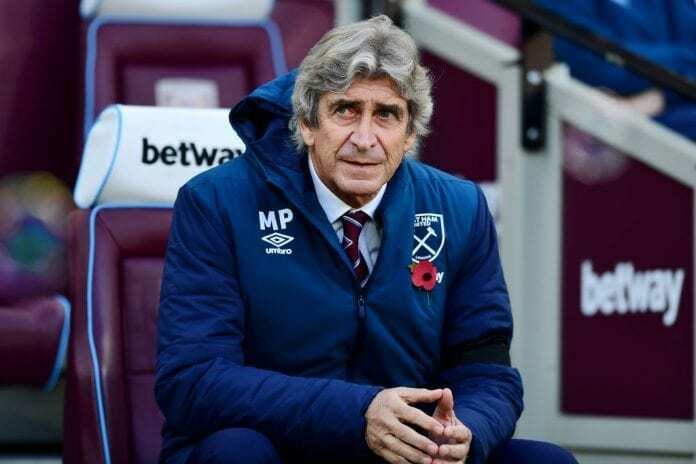 The Hammers are currently on the run of three consecutive defeats in all competitions and the Chilean manager is focused on ending that poor run. Man City have reduced the gap to within two points of Liverpool after beating Arsenal on Sunday and are aiming to defend their title for the first time in history. “If we win I will be very happy for our club first because we need a good performance against the leaders,” said the Hammers boss ahead of the Monday Night Football clash. Man City fans will like the sound of this. Manuel Pellegrini has a warning for Liverpool. However, Pellegrini feels Liverpool have the edge in the race following their domestic Cup exits and equally fancied the chances of Spurs. “It’s more easy for the team that is involved in just two competitions, compared to the team that is involved in four,” said the Chilean. “Tottenham? You should never think that a team four or five points behind you are not involved in the title. Of course, they are. “City have to play the final of the Carabao Cup which will suspend a game. If they make the semi-final of the FA Cup, they must suspend another game. “They have midweek with the Champions League, so it’s not easy to compete in all the competitions. “I talked about this four years ago. The major problem was that we were involved in all the competitions. We won one League Cup at that moment. 💙 Manuel Pellegrini still has love for Manchester City.